Leo I-sushi Responsive Prestashop Theme is a wonderful theme in Prestashop 1.7. It is designed for diversified commodities as a furniture store, interior store, household store, and multiple stores. Leo I-sushi store is suitable for any e-commerce sites. 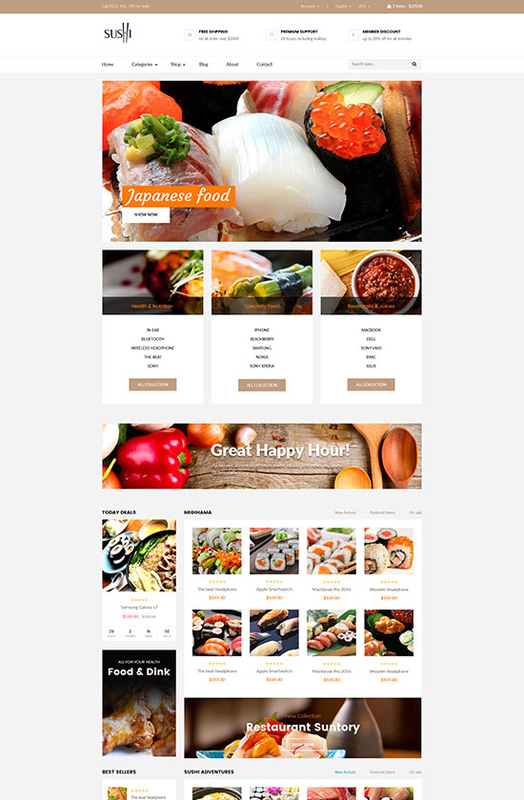 Leo I-sushi is totally responsive so it is completely adjustable for any devices (desktop, laptop, tablet, mobile phone) highly customizable Prestashop theme. Firstly, Leo I-sushi responsive Prestashop theme with both Bright background and clean layout will highlight your products. It also has Full-Width Sliders and Attractive Banners to showcase hot trend products or new arrivals to immediately approach customers. Social Networks are nicely displayed for the consumer to track the store’s information as discount or promotion activities. 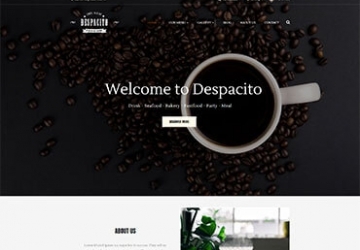 Secondly, Leo I-sushi was built with the best Prestashop Framework and Modules Ap Page Builder, using this powerful module permitted customer to create multiple profiles with multiple header and multiple footers, the owner can create as much as the profile you need for marketing campaigns. Leo I-sushi is so integrated wonderful features as Swipe, Animation, and Owl Carousel, all of this element give the whole theme a smooth sense. 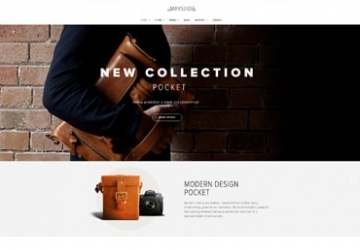 Finally, it also supports Css3, Html 5, RTL language layout and Bootstrap 4 Framework that help to create refined web pages with semantic accuracy and highly customizable Prestashop theme. 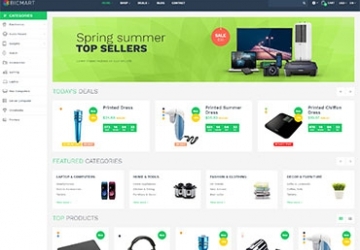 Leo I-sushiResponsive Prestashop theme comes with lots of built-in functionality which included powerful admin panel will help you manage your site better, customize easier. The Leo I-sushi Responsive Prestashop Theme for diversified commodities. The Leo I-sushi Prestashop Theme for diversified commodities.